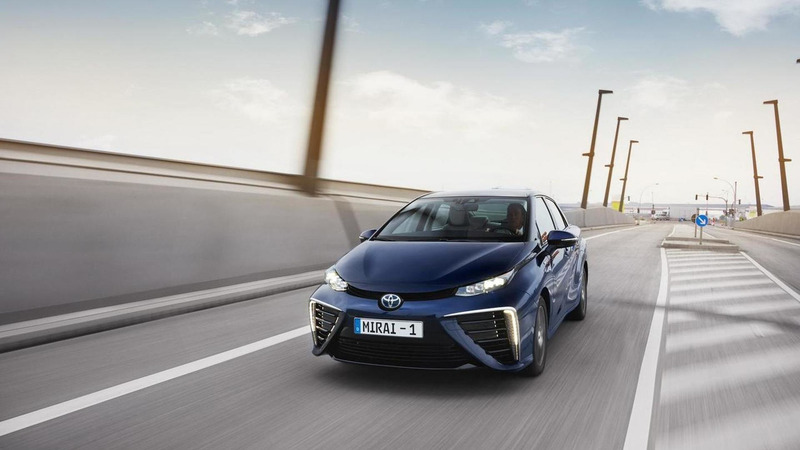 Toyota has shared a massive photo gallery of the European Mirai fuel-cell vehicle. Looking virtually identical to the American and Japanese versions, the model comes with a distinctive design with trapezoidal grille and two large air intakes in the front bumper with integrated LED daytime running lights. 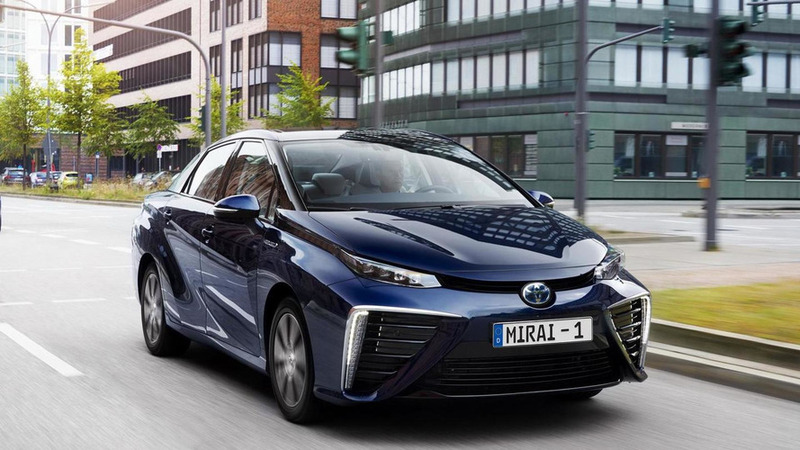 Just like all other fuel-cell vehicles, the Mirai uses oxygen from the air and combines it with hydrogen to create electricity, which powers the electric motors. The process is not harmful for the environment as the system is producing only water, which comes out from the exhaust system and has – as a journalist says – a “plastic” smell. The Mirai has 155 PS (114 kW), which provide a 0-100 km/h (0-62 mph) acceleration in 9.6 seconds and a top speed of 178 km/h (110 mph). A single charge gives up to 483 km (300 miles) of travel, while the full refueling takes around three minutes. Earlier Toyota said the model can be started at temperatures as low as -22 C, but one of the pictures suggests this could happen at even -30 C.
Check out the press release section below for extensive details.